China’s Baidu revealed a major update to its Apollo autonomous driving platform at CES 2018 today, including support for new computing platforms, new reference vehicles, more HD mapping services available on a global scale and other updates. Most notably, the update will give everyone using Apollo the ability to drive autonomously on simple, relatively easy to navigate city roads. Baidu revealed a number of new partners at the conference, and announced that Apollo will offer full support for four primary computing platforms this year, including Nvidia, Intel, NXP and Renesas. That’s basically all the major silicon providers working in autonomous driving compute hardware. The update also will see a new, cheaper sensor solution introduced that can support Apollo and potentially broaden its appeal to a new category of customer that might have felt the previous supported sensor suite was out of range, budget-wise. It’s also broadening its appeal in terms of reference designs, with new support for minibuses, SUVs and trucks, so a wider range of vehicle makers can make use of its tech. New mapping partners will help Apollo literally cover more ground, and increase its appeal to international autonomous technology partners and suppliers. 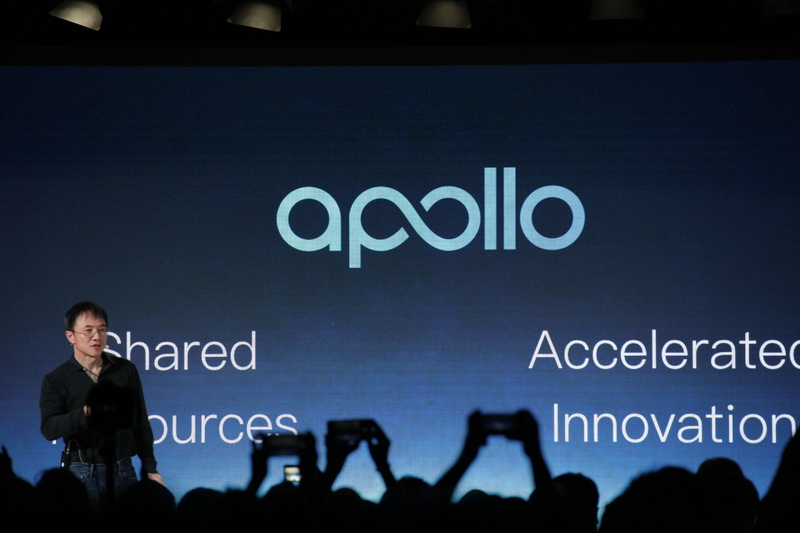 In terms of an update path from the current 1.0 version of Apollo, Baidu says it’s simple — they point out that a U.S. partner called AutonomouStuff has migrated from Apollo 1.0 to Apollo 2.0 within just a week. The update allowed the company to make its test vehicles drive on some urban roads in both day and nighttime driving conditions, which the company says highlights how significant the improvements are for the upgrades they’re rolling out. Baidu claims that its platform is the “most vibrant” in the industry, with around 150 commits to the codebase per week, over 1,800 forks and over 165,000 lines of code total in the project thus far.